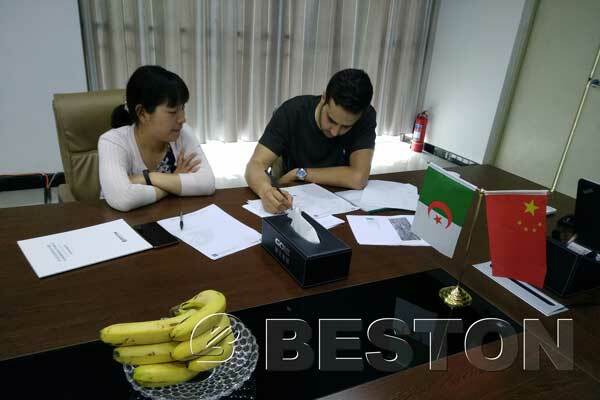 On June 3, Beston received the customer of carbonization machine who came all the way from Algeria to China. After receiving the customer at the airport, we accompanied him to visit our factory in Xingyang in the afternoon. 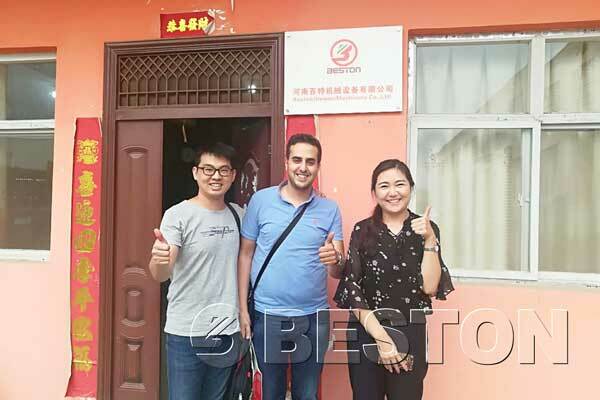 We visited the workshop of Beston latest charcoal making machine production line and also talked about the basic information and working process of the machine. Later, we took the customer to the demonstration equipment and watch the operation of the charcoal machine. Beston biochar production equipment turns all kind of biomass(including waste wood, coconut shells, rice husk, palm kernel shells, sawdust, straw and sewage sludge,etc.) into biofuel at a high working efficiency and low fuel cost. Concerning about some detailed data of this machine, the customer raised his questions and talked with the sales consultants and the engineers of Beston. Next day, we invited the customer to visit our head office in Zhengzhou City and introduced the situation of the whole company. The customer was satisfied with our high-quality machines, professional attitude, and considerate service and expressed his strong intention for further cooperation. Beston Keeps producing the best biomass recycling machines for the whole worlds. If you want to get more information about our carbonization plant, you are free to leave a message to us now.